Keely A. Seaverson, Esq. is an associate at the practice of Snyder Law Firm, with a primary practice area of Assisted Reproductive Technology Law. She graduated from Hamline University School of Law in 2014. Ms. Seaverson has worked in the area of Assisted Reproductive Technology since 2006 as an educator and guide to parties undergoing surrogacy and egg donor programs. Ms. Seaverson's work in this field has involved working side-by-side with ART professionals in the U.S. and internationally, including attorneys, fertility physicians, psychologists and medical insurance specialists. This has led to a broad and deep understanding of the ART industry and accompanying legal, medical, psychological, and financial sides of this complex process. 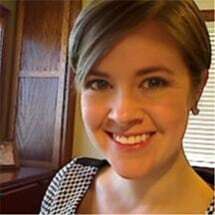 Ms. Seaverson has been active in educating law school students through various speaking engagements classes about the screening and matching of ovum donors and surrogates. She travels nationally and internationally to educate prospective intended parents about U.S. surrogacy. She also attends conferences related to ART regularly and has contributed to educational panels related to ovum donation and surrogacy at conferences hosted by Midwest RESOLVE (a chapter of RESOLVE: The National Infertility Association) as well as by Family Equality Council and the American Bar Association.